The SZP suffix relates to the keyway adding enhanced protection against copying. 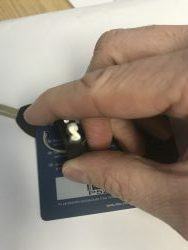 This profile can be built to the key code of an existing padlock which means that the SZP key will work with your old padlock, but your old key will not work with the SZP padlock - just another level of improvement from a quality manufacturer. You could be forgiven to wonder what the big deal is but making a lock that is both strong and 100% marine grade stainless steel is actually very difficult. Traditionally stainless steel is soft and can be cut by bolt cutters with relative ease. 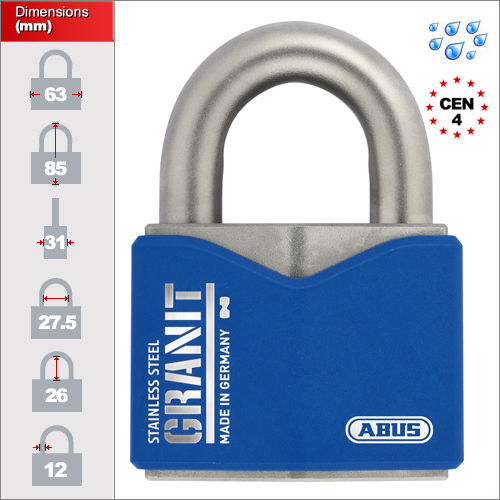 However, ABUS make these in Germany and can ensure the grade of stainless steel is an optimum balance of strength and weather resistance. Something that you would never get from locks made by other manufacturers in China. The SZP has a different shaped had compared to regular Granit Plus keys which means that the manufacturer have greater control over the distribution of key blanks. please see image below comparing the head of the new keyway (left) to that of an old keyway (right). Apart from the special stainless steel used they also increased the shackle thickness very slightly which enables it to pass the CEN Grade 4 testing standard. This is a significant step since many insurance companies start at level 4 in their requirements. You can read more about insurance requirements here. Do you need a marine grade lock? Although very strong, we would still recomened a non marine lock if you are inland or not securing something by, in or on the sea. 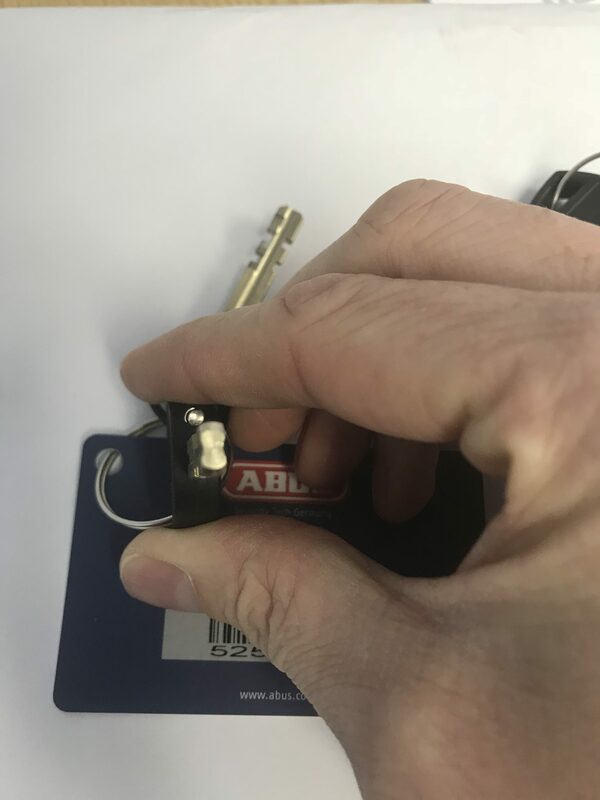 The non-marine equivalent of this lock is the ABUS 37/55 and uses hardened steel rather than stainless steel which is significantly stronger. 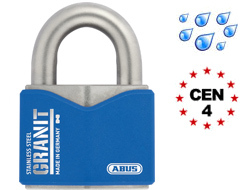 The locking mechanism is an ABUS Plus System which is provides a degree of copy protection. 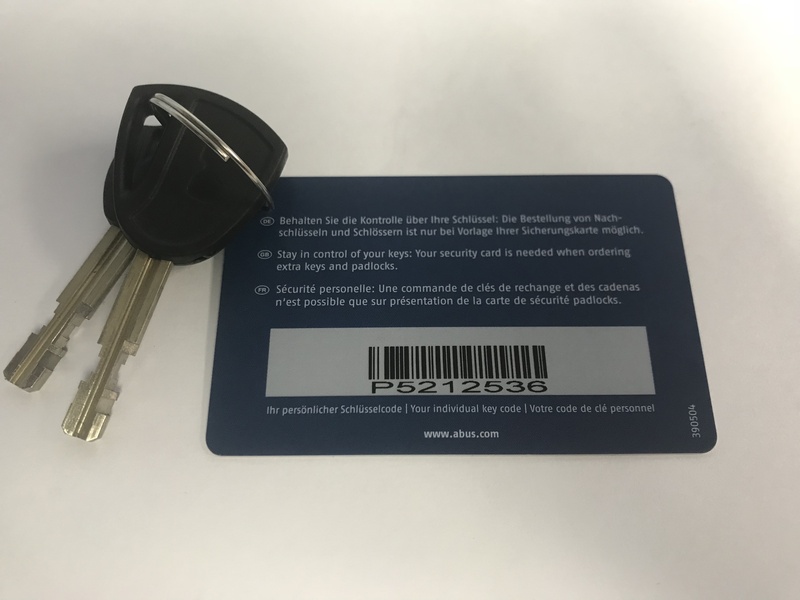 Each key comes with a Code Card which is require to obtain more keys and are not easily available from high street key copiers. The lock comes with two keys, one of which has an integrated LED light. However, since the keys are non-directional, they are particularly easy to operate in the dark.